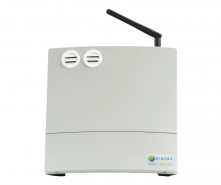 The Aretas Carbon Dioxide (CO2) Monitoring System is an easy to install, wireless system that displays data online and sends customizable alerts via text message or email. Secure cloud based data allows decision-makers and maintenance staff to monitor CO2 levels from anywhere at anytime. 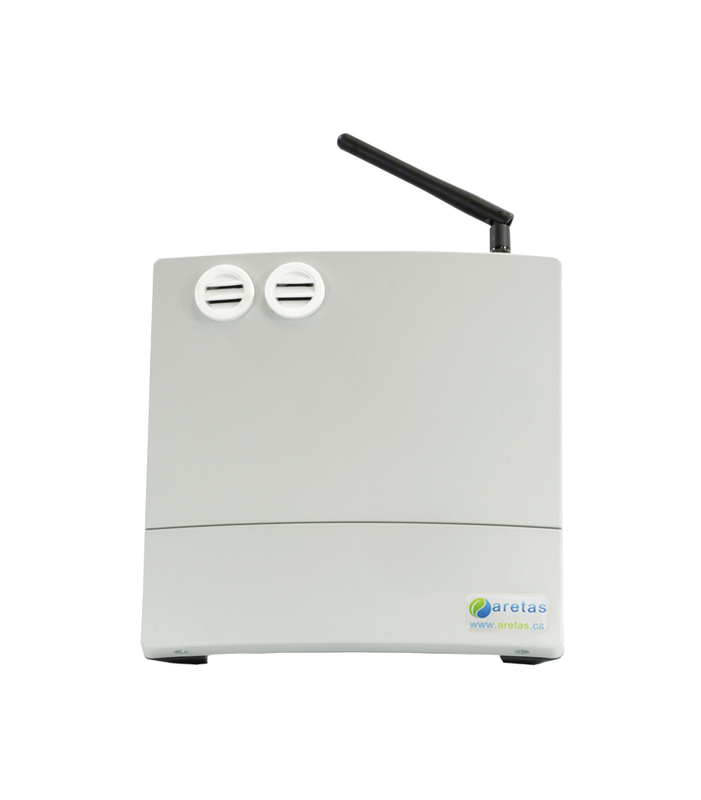 This wireless carbon dioxide monitoring equipment can detect CO2 levels between at 0 - 10,000 ppm. Its functionality can be expanded to include sensors that monitor other gasses, such as CO, NO2, O3, and VOC. The CO2 detector comes standard with Temperature and Relative Humidity sensors offering more in depth data as well potential energy-saving and money-saving opportunities. Why is carbon dioxide dangerous? Danger arises when CO2 levels get too high, which can happen during industrial processes (from furnaces, manufacturing activities, wine making, etc.). Because CO2 is colorless, odorless, and already present in the atmosphere, early detection of rising levels is crucial for workplace safety. At no additional charge most of our monitoring solutions include temperature and humidity monitoring to determine if energy savings opportunities exist, allowing you to offset the cost of CO2 and other monitoring needs.